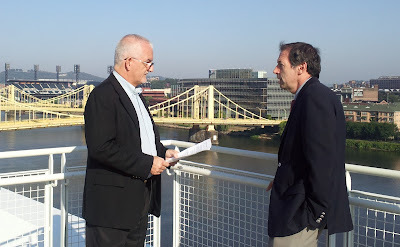 Ian Sheldon speaking with John Quiggin in Pittsburgh. 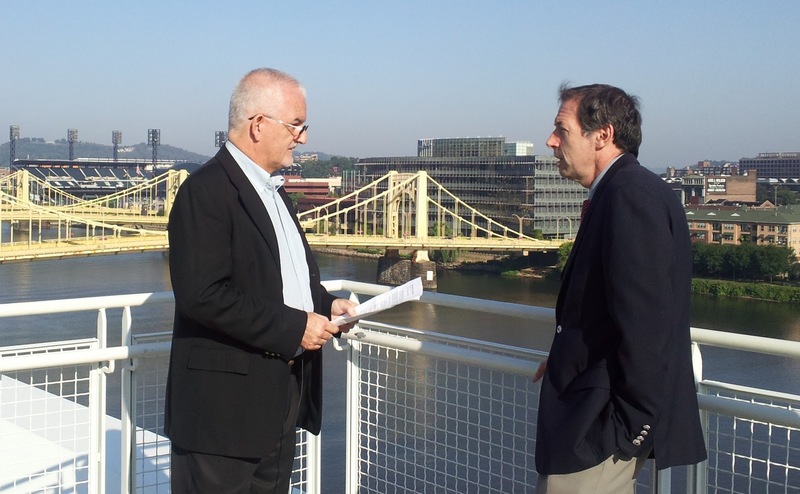 At the 2011 AAEA Annual Meeting in Pittsburgh, Ian Sheldon, the Featured Articles Editor of AEPP, conducted interviews with three of the most influential economists of our time, discussing critical issues facing applied economists and policy-makers in the 21st Century. You can watch these interviews now on the AEPP website. Robert E. Hall, Stanford University (Keynote Address) on the topic of "Why is the U.S. Recovery from the Financial Crisis So Sluggish?" John Quiggin, University of Queensland (Fellows Address) on the topic of "Stabilizing the Global Climate: A Simple and Robust Benefit Cost Analysis"
Martin Ravallion, World Bank (Galbraith Forum) on the topic of "Growth and Poverty Revisited"
You can learn more about AEPP by visiting the AEPP website. I failed to watch this, I hope you can post the video of it though. You can watch the videos interviews on the AEPP website at: http://www.oxfordjournals.org/our_journals/aepp/interviews_at_aaea_meeting_2011.html.